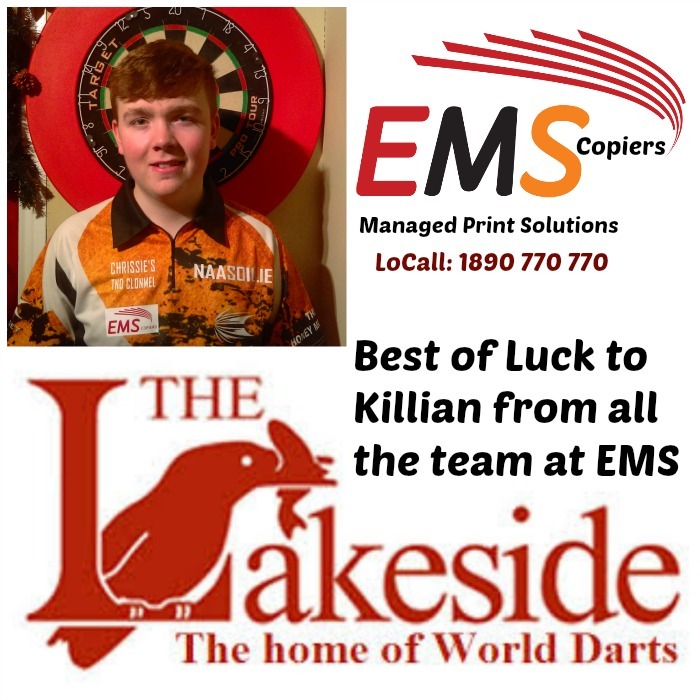 EMS are proud to sponsor Killian Heffernan who is playing in the BDO World Youth Championship Final today in The Lakeside, Surrey UK. The event will be aired live on Channel 4 and BT Sport today at 12:05. Killian is playing against Justin Van Tergouw from the Netherlands in the final, who is the current World Champion.